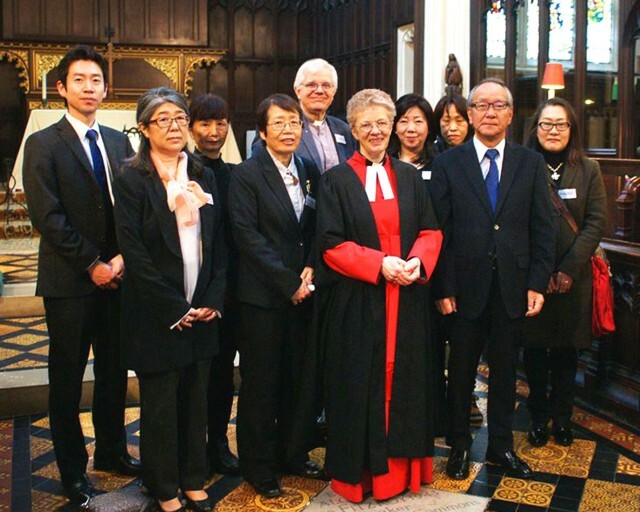 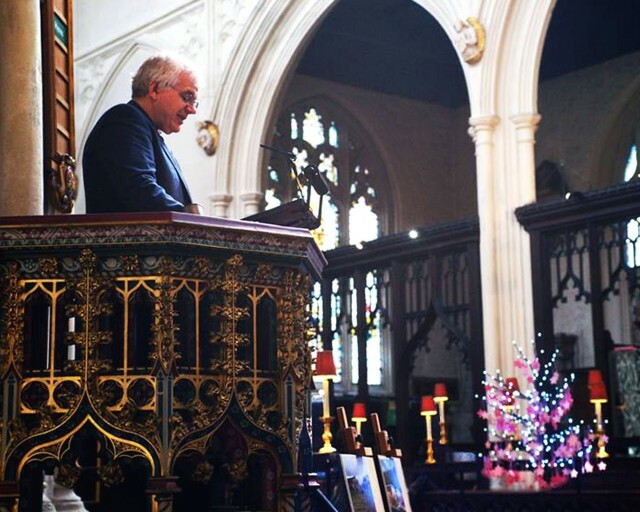 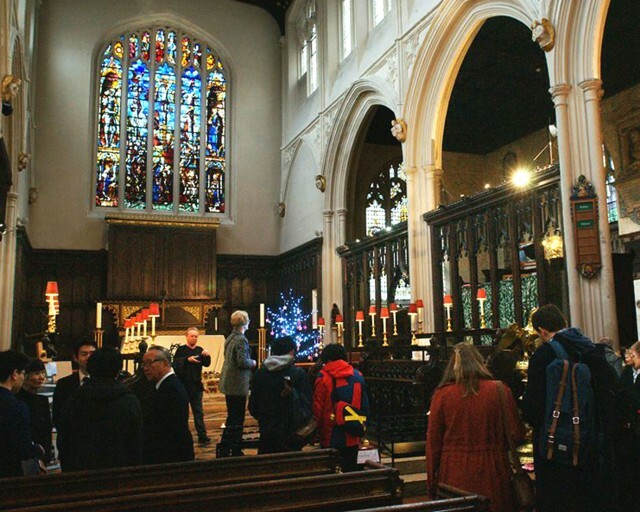 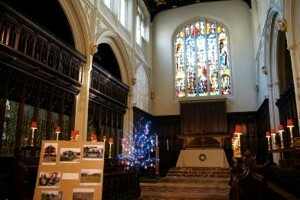 The Japanese-speaking church in the UK, where Ms. Yuki Johnson is active, held a service to commemorate the East Japan Earthquake of March 2011 again this year, six years after the disaster. The Anglican-Episcopal Church in Japan, its Tohoku Diocese, and we, the No Nuke Project, sent messages to the Japanese-speaking congregation. 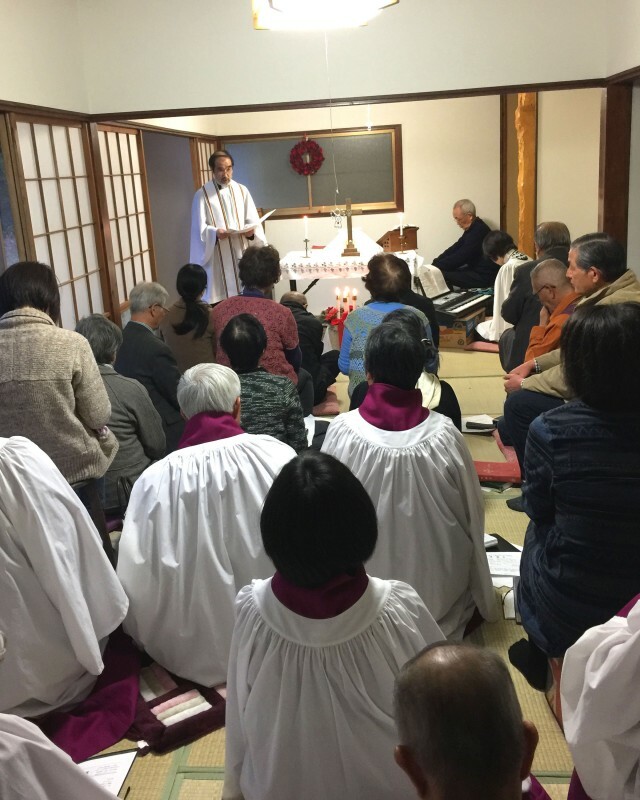 One of its leading members, Ms. Yuki Johnson, has sent us the following report on the service as well as some nice photos taken by Mr. Shu Tomioka. We held a vigil in commemoration of the 2011 disaster on March 11th. 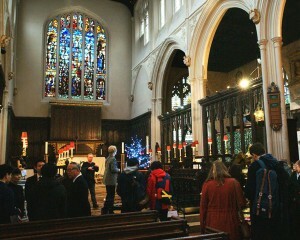 Though the venue, Westminster Abbey, was not open to the general public on that particular day, we had more participants than we expected. 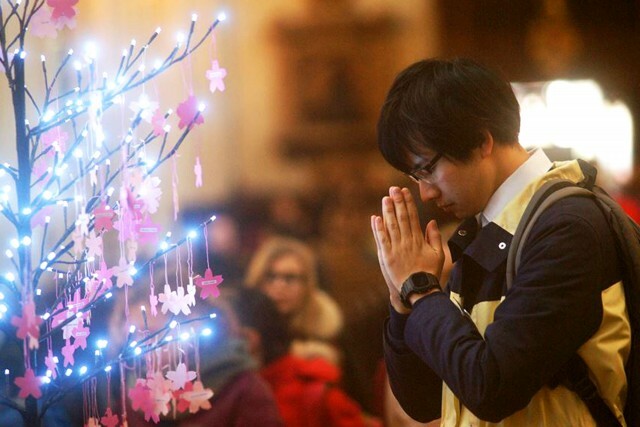 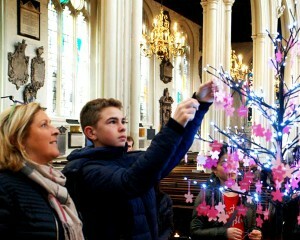 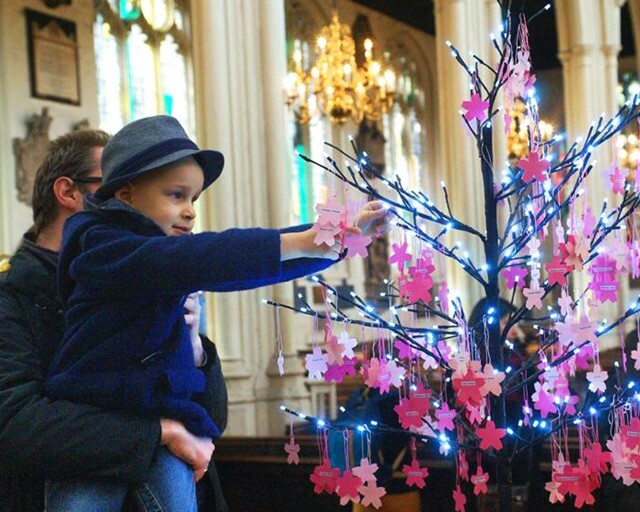 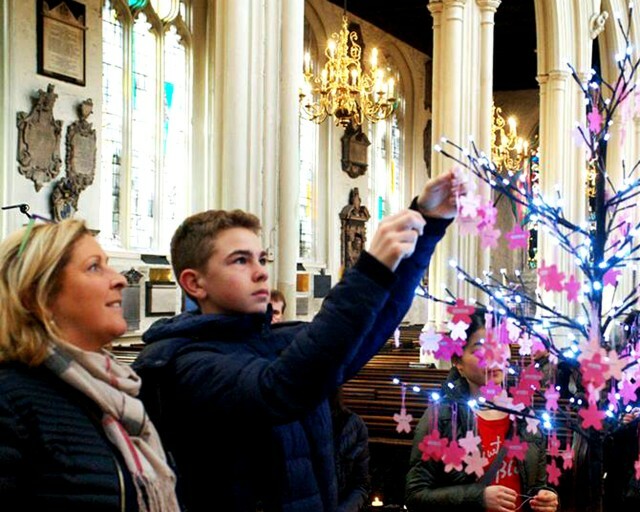 At least 500 people attached a cherry blossom, the symbol of our remembrance of the victims of the 2011 disaster, to the Tree of Hope placed at the venue. 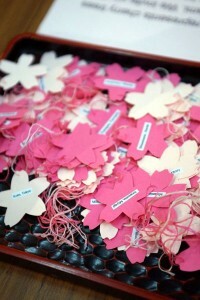 Many of them also left deeply meaningful messages. 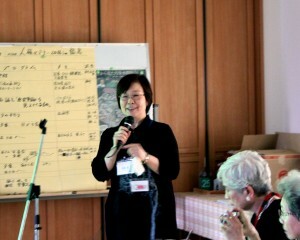 The photos shown here were taken by Mr. Tomioka, a wonderful friend of mine. 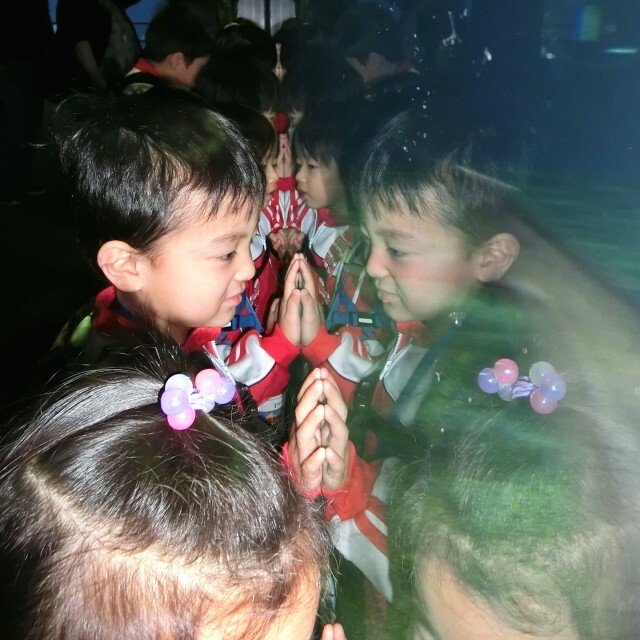 On Thursday, February 23rd, 2017, the kids of St. Timothy’s Kindergarten, located in Onahama, Fukushima, took a ride on a big bus to visit “Aqua World,” a prefectural aquarium in Ibaraki, Japan. Though their hometown, Onahama, stands on the Pacific coast and has its own aquarium, named Aquamarine Fukushima, it does not have dolphin and seal shows. 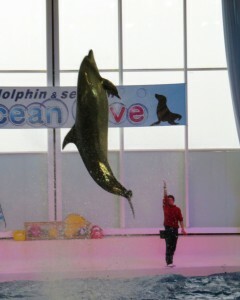 Aqua World, located in Oarai, Ibaraki, has such shows. This made the kids very excited and happy. 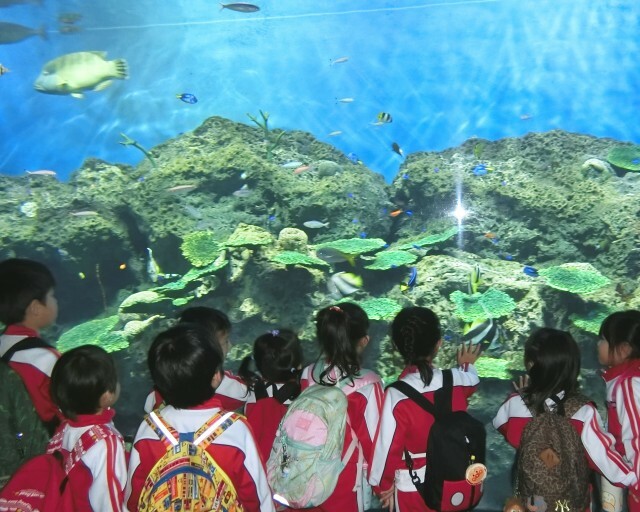 In front of the shark tank, a boy of the kindergarten’s mid-aged class had sparkles in his eyes as he shouted, “Here are sharks! !” He was a lover of sharks, and watched every single move the sharks made with both of his hands on the tank’s glass. Until the Ocean Show began, the children savored their lunches together. 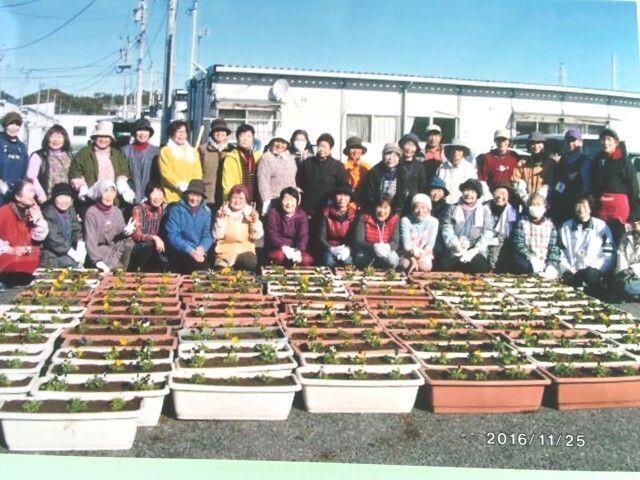 The little town of Shinchi, Fukushima, was devastated by the gigantic tsunami caused by the seismic catastrophe of March 11th, 2011. The devastation from the ocean brought serious harm to all the members of St. John’s Church—an Anglican congregation—who were living close to the church. Three of the church’s members were killed. 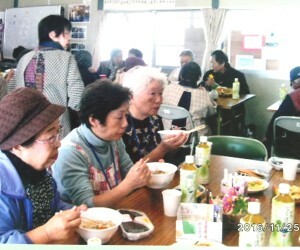 All the other members who survived the catastrophe had no choice but to settle down somewhere else as refugees. 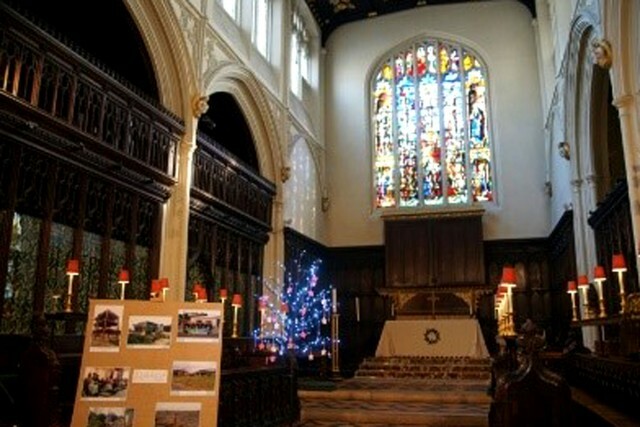 How about the church building? 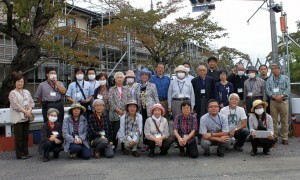 It was demolished as a “dangerous building” on February 16th, 2013. 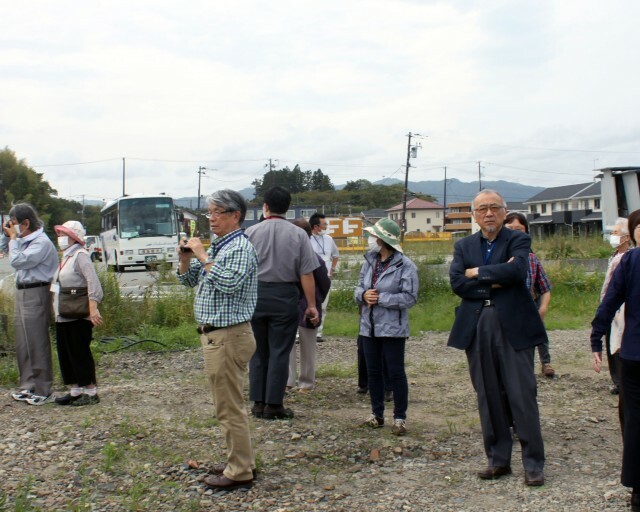 While the general rebuilding of Tohoku, the hard-hit region of the 2011 seismic disaster, is still in progress, many refugees from the vicinity of Fukushima Daiichi are still living in temporary housing in Shinchi. At 4pm, Sunday, December 25th, 2016, the “House of Prayer” celebrated its first Christmas Mass, attended by 31 people. 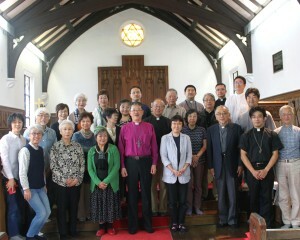 Worshipers included St. John’s own members as well as visitors from Nagoya, Sendai, Aizu, Onahama, and Koriyama. 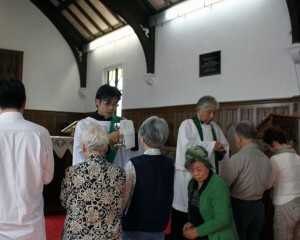 After the Mass, they spent time sharing peace and gratitude for the reopening of the church. The emergency temporary housing at Izumi-Tamatsuyu, located in Iwaki, Fukushima, provides temporary housing to refugees from the little town of Tomioka, whose entire territory is part of the no-go zone. 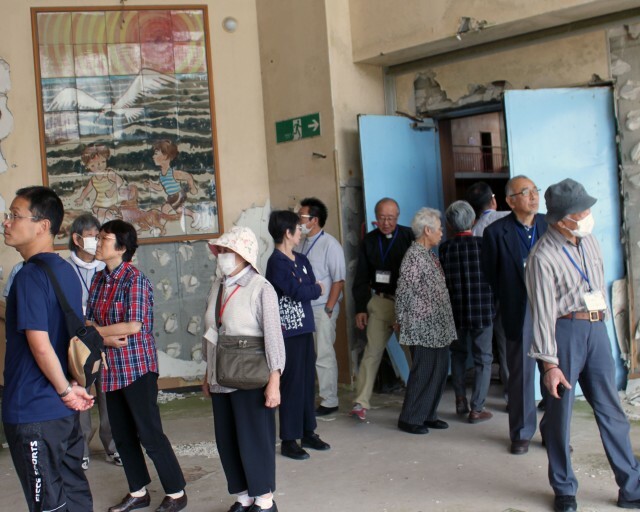 Another hard-hit town, Okuma, is also completely within the off-limits area and its former residents now live in the temporary housing of Watanabe-Hiruno, Fukushima. The Fukushima Daiichi meltdown forced these people to leave their hometowns more than five and a half years ago. 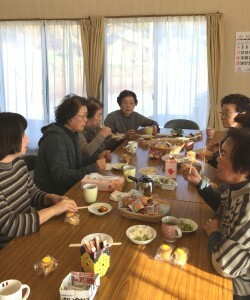 Those refugees have made good friends in their temporary residences, yet one of them told me that separation from such new friends might happen someday. 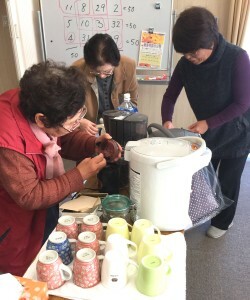 Therefore, said the refugee at a “Comfy Café” held at one of the temporary housing facilities, making the most of the present time is the thing to do. 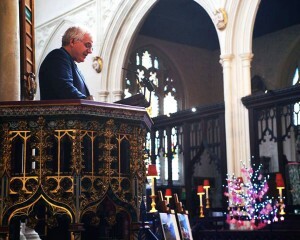 That message still rings in my mind. A “Comfy Café” meets every Friday morning at the temporary housing of Izumi-Tamatsuyu (for Tomioka refugees), and every Thursday and Saturday morning at Watanabe-Hiruno (for Okuma refugees). 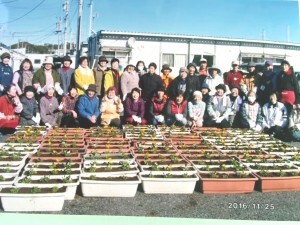 People from the Red Cross Society joined in the※ “potato boiling party” with the refugees, on the same day. ※ In Japan, many cook and eat pumpkins on and around the winter solstice, wishing for good health throughout the winter. 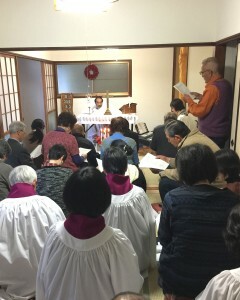 “Hail, thou that art highly favored, the Lord is with thee” (The Gospel according to Luke 1:28). This year, once again the kids at St. Paul’s Kindergarten are enjoying a blessed Advent. 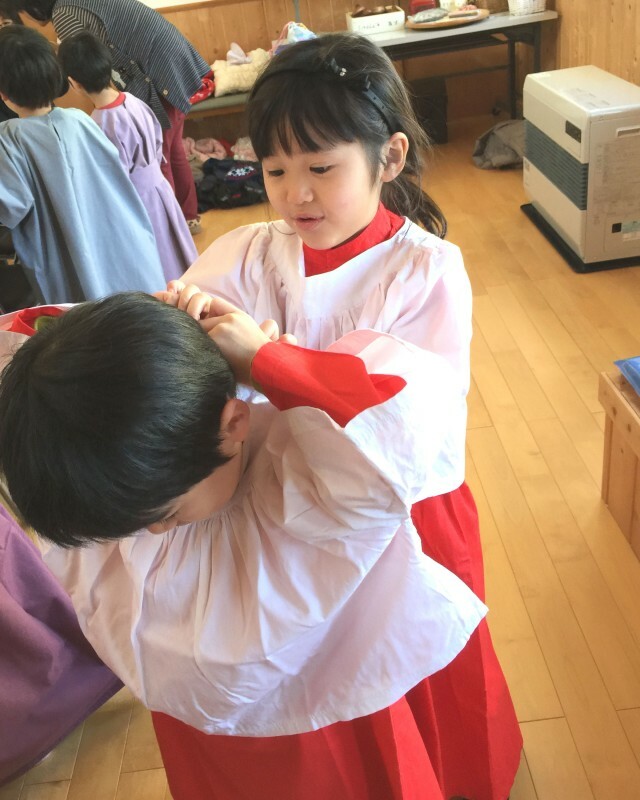 ^ The Sakura Class (Cherries) (3 years in age or younger): This class is learning the meaning of Christmas and having a good time with friends and the nurses. 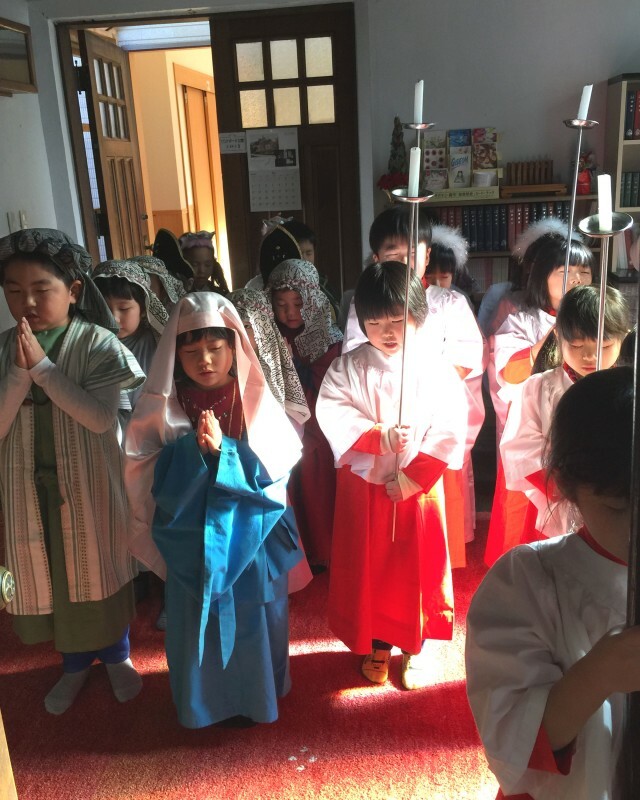 ^ The Tampopo Class (Dandelions) (Younger kids of regular kindergarten age): They are learning about the birth of Jesus so they can celebrate Christmas with joy. 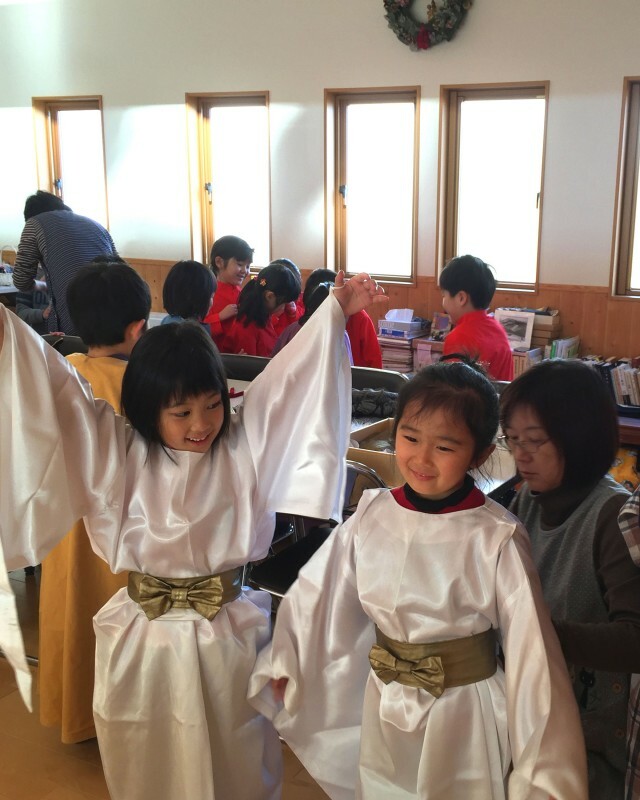 ^ The Momo Class (Peaches) (Medium-aged kids): They are also learning about the birth of Jesus so they too can celebrate Christmas with joy. 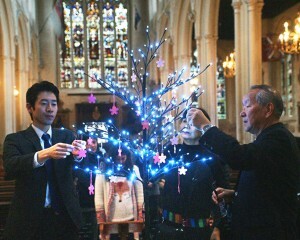 ^ The Hikari Class (Lights) (Older kids): This class is moved by the birth of Jesus and waiting for His coming with longing. 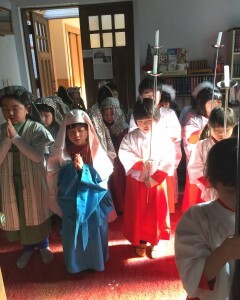 The Hikari Class is now rehearsing a Christmas pageant. Today, they had their first dress rehearsal. The kids helped each other put on costumes, which had hooks on the back. 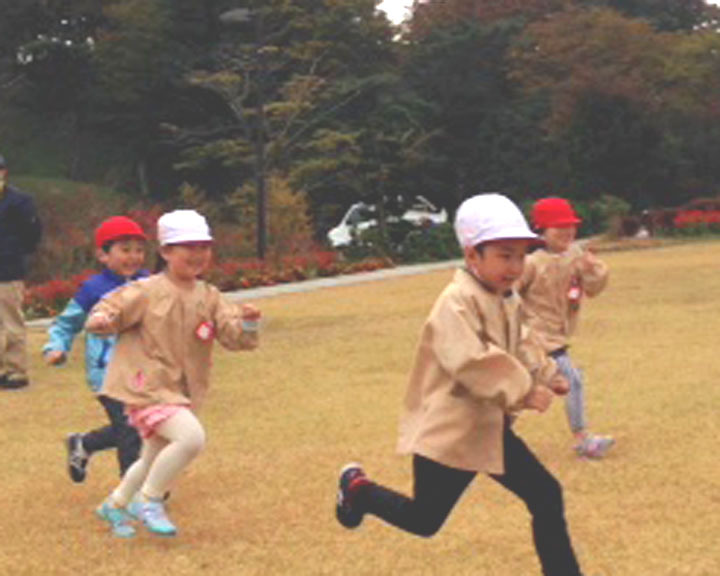 They look happy in their costumes. 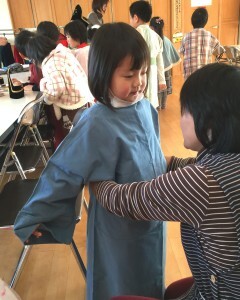 She is dressing as one of the three magi. 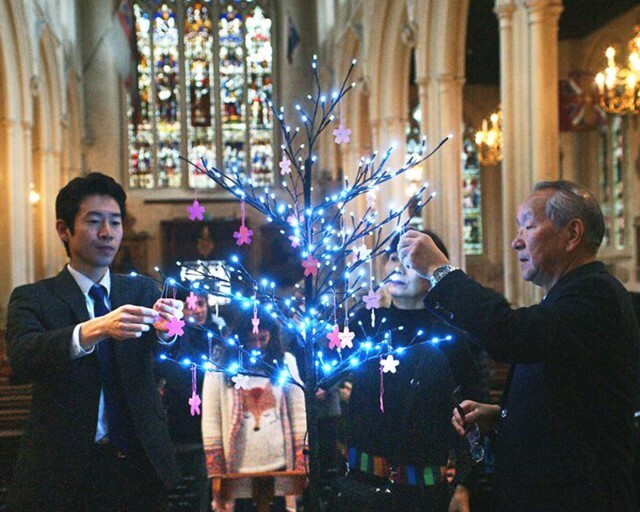 This is the sixth Christmas after the Fukushima Daiichi meltdown began. 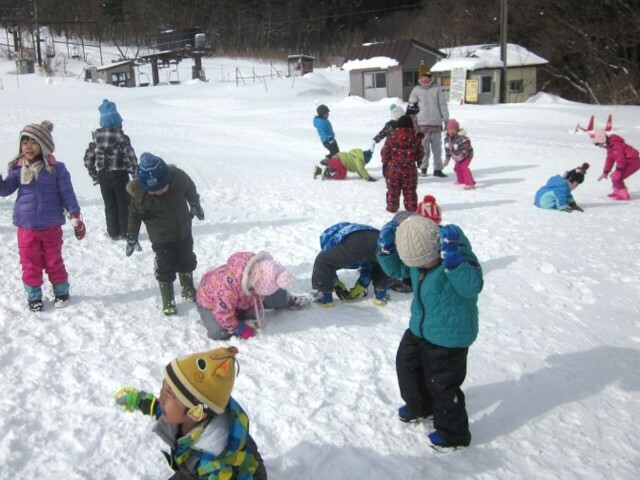 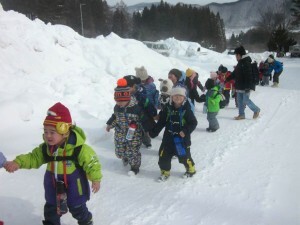 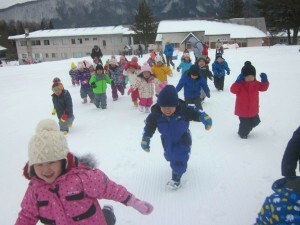 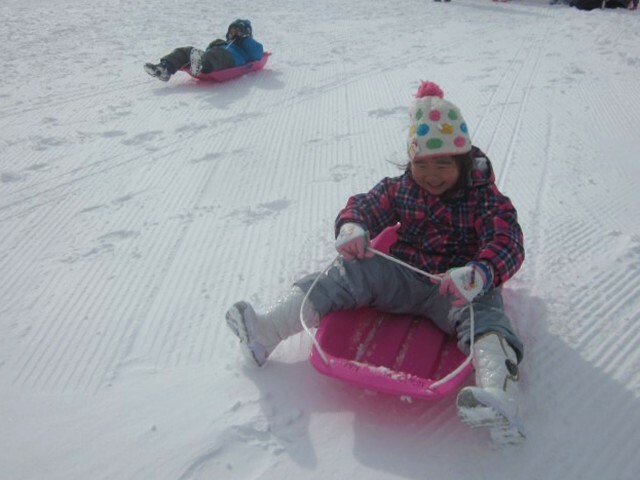 The situation of Fukushima’s children has not turned for the better. 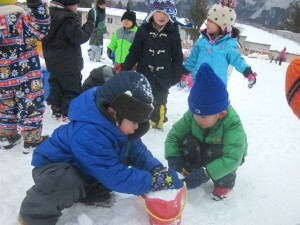 Still, all the parents and faculty members of the kindergarten are doing their very best, working together to keep the children safe. 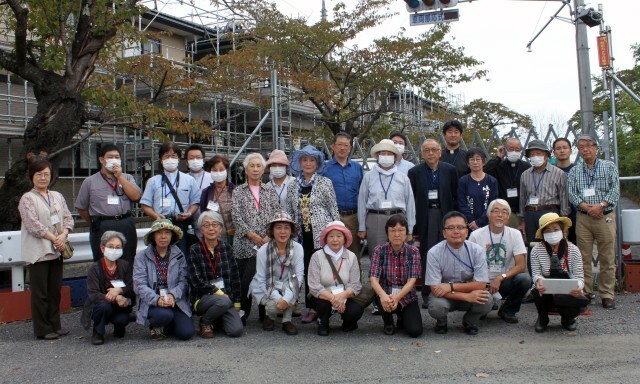 While, with the passing of time, more and more people are losing their concerns over Fukushima, many people, both in and out of Japan, are still graciously helping us. 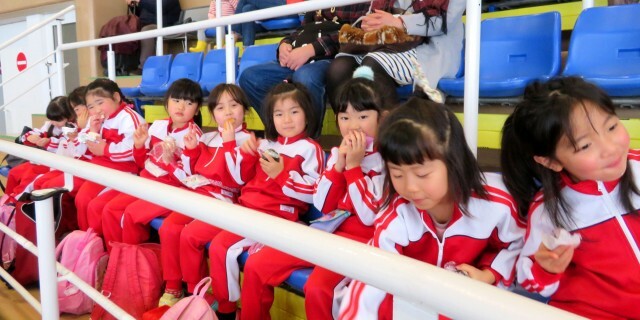 We are very thankful for it! 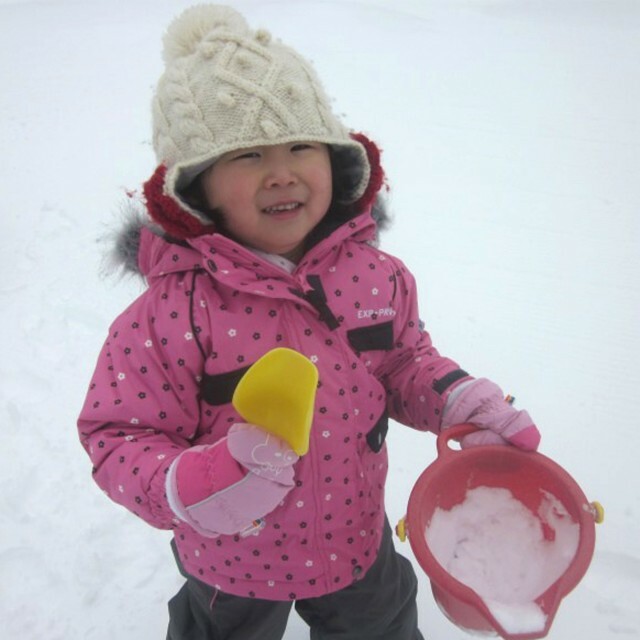 We ask for your continued help, so our children can grow up strong and happy. 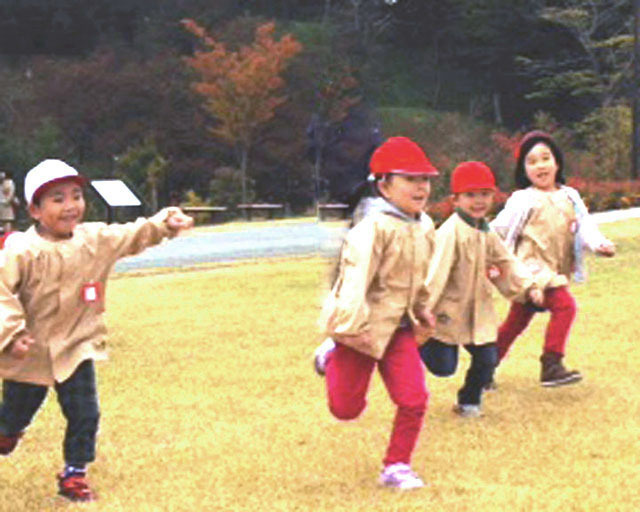 On Friday, October 28th, 2016, the children of St Paul’s Kindergarten visited “Kamega-jo Park,” located on the southern foot of Mt. 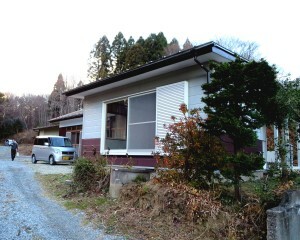 Bandai, Fukushima. 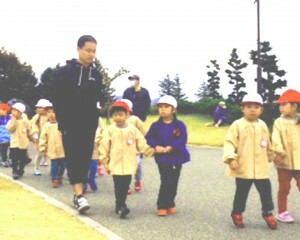 The sky was overcast, and the air was a bit chilly, but the kids were full of energy, taking walks and playing tag. 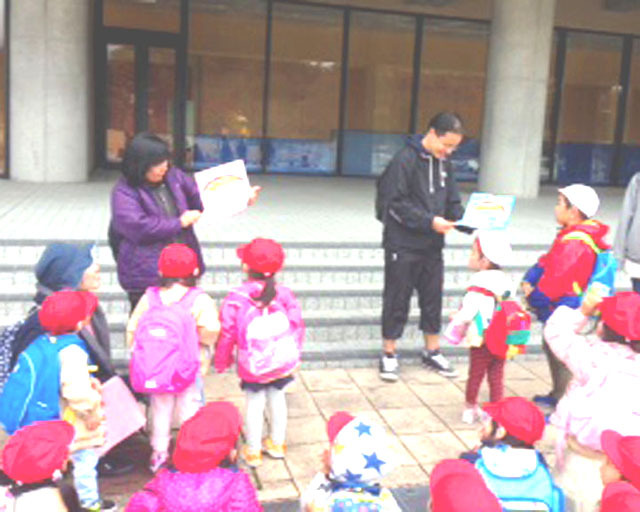 Also, two nurses from Okinawa, who were visiting the kindergarten during the week, had a good time at the park with the kids. Presentation of thank-you notes, signed by all the kids, to the two nurses from Okinawa. Under the banner of “Nuclear Power and Human Rights in Fukushima,” the Human Rights Seminar of the Anglican-Episcopal Church in Japan met this year at St. Peter &St. Paul’s Church, Koriyama, Fukushima, from Tuesday, October 4th, through Thursday, October 6th. 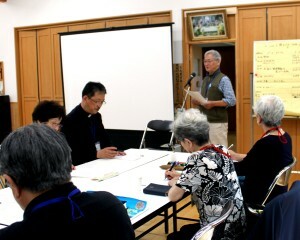 26 participants gathered there from all Dioceses nationwide. Listening ardently to voices from Fukushima, the participants visited some sites of the damage done by the Fukushima meltdown, and discussed the nuclear power issue with enthusiasm. 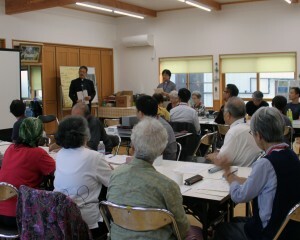 Thus, they had three days of earnest discussions and prayers, as well as good fellowship.